Fans are sharing some adorable pictures with the couple. 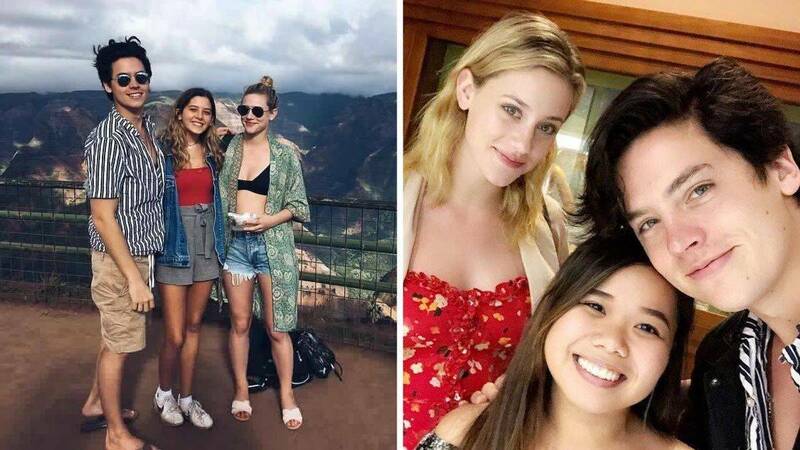 Riverdale stars Lili Reinhart and Cole Sprouse reportedly spent New Year's Eve together in Hawaii. While Lili shared an Instagram image from her travels—ironically noting "Everywhere in Hawaii is a real life Windows desktop" —she didn't mention her co-star and rumored boyfriend. But excited fans have since been posting pictures taken with the pair in Hawaii, suggesting that they were indeed traveling together. Following the development of the beloved onscreen romance between Betty and Jughead, it's been rumored for several months that Lili and Cole were also involved IRL. They were reportedly seen making out at Comic-Con in summer, and despite the oddly adorable photoshoot since, they've both declined to confirm or deny that they're dating. "Whether you dismiss those rumors or whether you encourage those rumors, it's giving people who are, in my opinion, a bit entitled to your personal life more power. And you have to have spaces for reverence in the industry," Cole said.